One of the most awaited events on IIM Indore campus is the annual reunion meet for the alumni—Footprints. This year, Footprints 2018, held on December 01-02, witnessed a footfall of more than 350 alumni and commenced with a bonfire night arranged for the alumni on the evening of November 30, where they got an opportunity to interact with each-other in an informal environment. 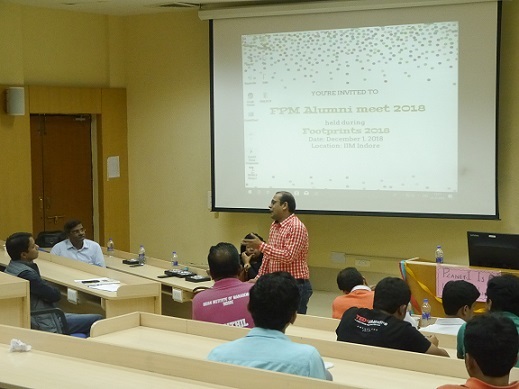 The first day of Footprints started with the alumni reunion of the FPM batch which commenced with a welcome speech by the Professor Rishikesha T. Krishnan, Director, IIM Indore and Professor Sushanta K. Mishra, Faculty & Chair, FPM. 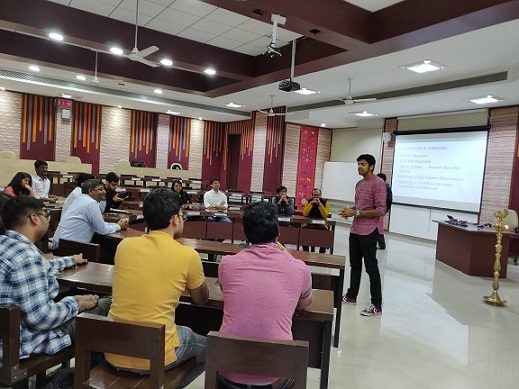 It was followed by an interactive session which covered topics ranging from the startups formed in the areas of social network for researchers, teaching research or entrepreneurship to the interest shown by people in the field of research. The speakers talked about how their entrepreneurship experiences helped them shape their current pedagogy to facilitate a better learning environment in classrooms. Following that, the alumni from the PGP batches were welcomed. 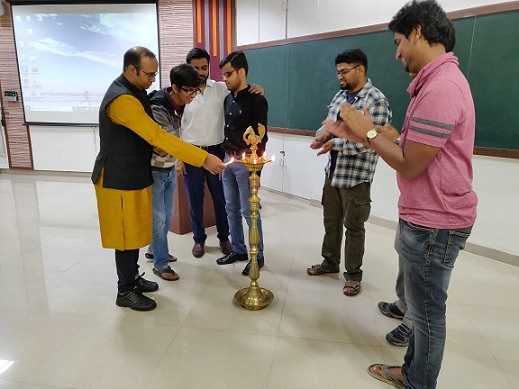 The inauguration ceremony for the PGP alumni commenced with lamp lightening ceremony and an informative speech by the Secretary of Alumni Committee, Kriti Jain. Afterwards, Professor Subhabrata Basu, Alumni Chair, and Professor Manoj Motiani, Hostel Chair, talked about new initiatives taken up by Alumni Committee and their experiences. Few alumni also shared their fond memories and fun stories with the audience. The importance of a good alumni connect and the imperative role that alumni have for the success of an institute was discussed during the ceremony. The second day continued with the same enthusiasm and exuberance as shown on the first day. Day 2 of Footprints was preceded by an engaging and an enthralling performance by Vibes and Harmon-I (the dance and music clubs of IIM Indore respectively) which was appreciated by the alumni and post that, a DJ night was organized for them. A brunch and a cake-cutting ceremony were organized where the faculty and alumni could interact with each other. 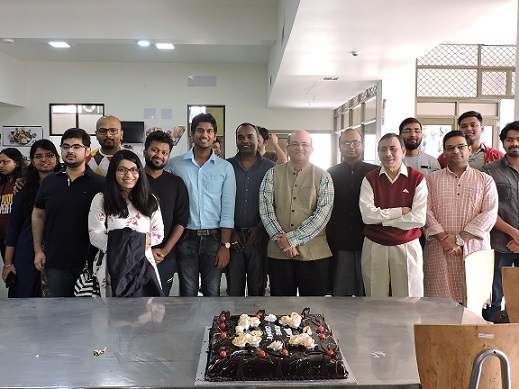 The brunch was attended by Professor Krishnan and faculty members, namely Professor Siddhartha Rastogi, Professor Shubhabrata Basu and Professor Kamal Kishore Jain. With this, Footprints 2018 came to an end. The event was a huge success with over 350 alumni returning to campus to relive their cherished memories.